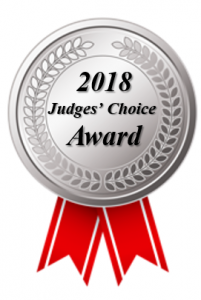 The following story won a Judges’ Choice Award in the 2018 IDAHO Magazine fiction contest. Delfred Long stood in the gravel driveway of his 1950’s rancher, glaring at his granddaughter. A heart attack had forced him into early retirement. Now, he was supposed to take it easy while recovering. So here he was, in the height of the growing season, in poor health, out of work, and stuck babysitting Ronnie. “I used Dad’s hammer to build a fort,” Ronnie announced. Del was a Master Gardener, but two weeks in the hospital had reduced his pride and joy to a tangle that more closely resembled a jungle than a vegetable patch. He taught Ronnie the difference between carrots, onions, and weeds, handed her a hoe, and set her to work. Working the row beside her, he carefully avoided pulling the snow peas away from the fence. By the time he reached the row’s end, he was exhausted. Leaving her to the task, Del ambled over to the garden shed, searching for a rusty old coffee can. He removed the lid and rifled through partially used seed packets until he found the pack of Marlboros. There were only four cigarettes left. He’d buy more and keep them hidden out here since no one found these. Del slipped the pack into his pocket, lit a cigarette, and took a long drag. He sat in one of the lawn chairs under the apple tree smoking, and watched Ronnie trudge across the lawn packing zucchini as if they were spoils of war. “Yer not supposed to be sassin’,” Del snapped. “Agreed,” Ronnie said, and shook his hand. Together they headed for the house to face the enemy. Louise Murphy had brought reinforcements with her, two other old birds from his daughter’s bible study. They wore their hair like helmets and were garbed in ridiculous floral frocks. Louise and her entourage pushed past him, sniffing the air for traces of nicotine. Just like a damned pack of blood hounds, Del thought. “Oh, look at the time,” Louise said, glancing at an imaginary watch. “We really must be going.” Then she herded her entourage out the door, sans zucchini. “Kiddo, no one likes zucchini,” Del replied. “Then why plant it?” Ronnie asked. Del loaded his fishing gear into the truck. Then he packed the fried chicken and potato salad in the cooler with a six-pack of soda. When they reached the slough, Del saw Swede Olson’s truck parked in the turnout and pulled in alongside it. Del grabbed the cooler and the poles. Ronnie followed him loaded down with the bucket, tackle box, and lawn chairs. Spotting Swede, Del strode down the bank to join him. Ronnie shot Swede a spiteful glance. Del settled into his chair and baited his hook. “I’m here to avoid being ministered to by the ladies of the women’s bible study, Louise Murphy in particular.” Del placed the worms atop the cooler and reached for a cigarette while Ronnie baited her hook, casting dirty looks at Swede all the while. Del handed her a soda, a drumstick, the bowl of potato salad, and the bag of chips. Ronnie set everything on the cooler as soon as Del shut the lid. “How am I supposed to eat potato salad without a spoon?” she asked. Ronnie’s meal was interrupted by a tug at her pole, and she caught another perch. Del added two fish to the bucket as well. Sensing that Ronnie liked Swede about as much as he liked Louise Murphy, Del decided to call it quits as soon as Ronnie finished eating. Del smiled. “Ya know, I think yer right.” He turned the key in the ignition and the truck rumbled to life. Flicking ashes out the window as he drove, Del couldn’t help but think Ronnie was brilliant. When they got home, Del rifled through a stack of papers on the hi-fi until he found what he was looking for. Then he flipped to the necessary pages, quickly making his mark, and headed for the backyard. He met Ronnie armed with information. Ronnie smiled. She picked out a behemoth of a zucchini for Swede. Del laid the monster on the seat between them and headed off to make deliveries. At the end of the street he turned around and headed back. Del let the truck idle while Ronnie slid out of the passenger door and dumped the zucchini on the porch. As he drove away, Del hoped they hadn’t been seen. Louise Murphy’s house was Pepto-Bismol pink. A long-haired tabby sat in the window flicking its tail. A persnickety-looking Siamese was sunning itself on the steps. Ronnie nodded and jumped out. Del handed her two big zucchini and she raced for the door, causing the cat to jump and hiss. Ronnie haphazardly deposited her burden, turned and ran back. As soon as she slammed the door, Del sped away, chortling as he went. On the way home, Del pulled into the gas station, bought a pack of cigarettes, and an ice-cream sandwich for Ronnie. It had been a good day. “Sort of,” Del replied and walked across the living room to show Ronnie where the noise was coming from. “That’s a scanner. It’ll tell us everything the police do all day.” They listened as an officer relayed information on a person he’d pulled over for speeding. Del hid his cigarettes, and then he and Ronnie started gutting fish in the kitchen. They had finished the fish and were settling down to snack on some kohlrabi when the dispatcher’s voice crackled with the news they’d been waiting for. Anticipation crackled along with the static on the channel. Del and Ronnie leaned forward, eagerly awaiting the outcome. Just as they were sitting down to supper, Louise Murphy’s car pulled into the drive. “Oh, heavens no,” said Louise. “It’s just that I’ve heard some very disturbing things.” Louise let herself out the backdoor and headed for the garden. “What kind of things?” Del asked. Louise slipped through the garden gate, heading toward the zucchini. “Don’t forget to take a zucchini with you,” Del called after her. Del returned to the table grinning from ear to ear.